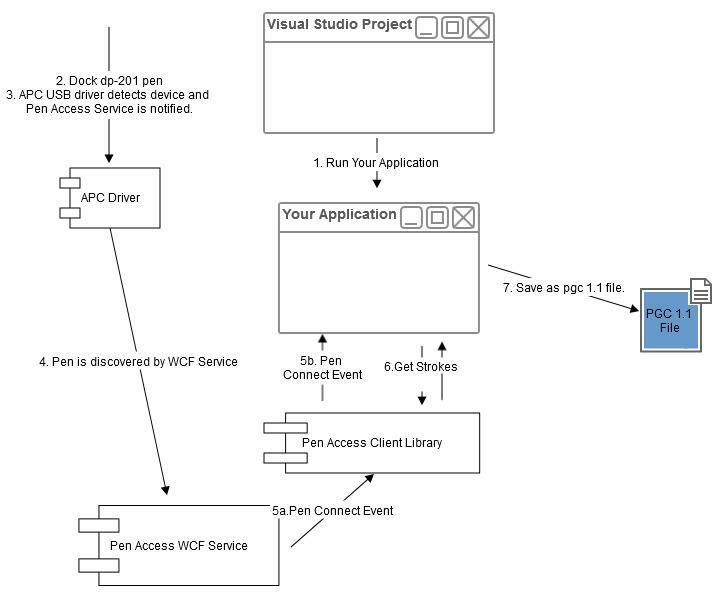 The pictures below illustrate how you can setup you application development and use the provided tools to start developing with the Pen Access Framework API for Live™ Pen 2 and Live™ Pen 1 (DP-201). You can use the Pen Emulator if you do not have access to a physical Live Pen 2. 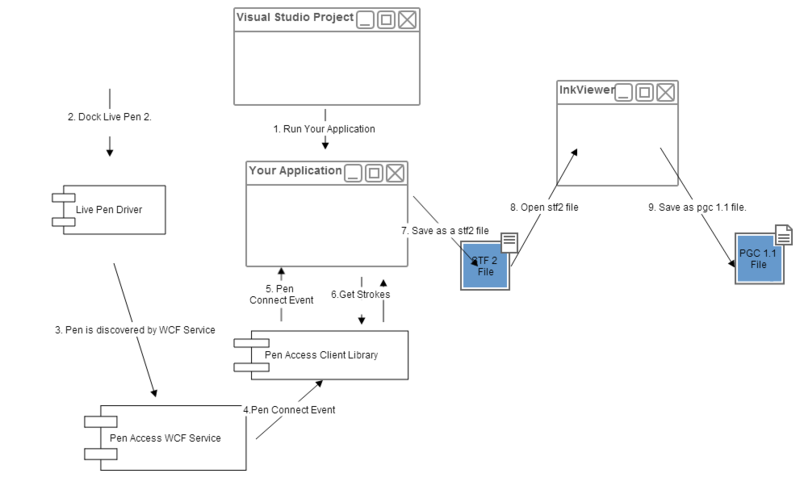 Picture: Using the Anoto Live™ SDK and tools to develop an application to handle the Live™ Pen 2. 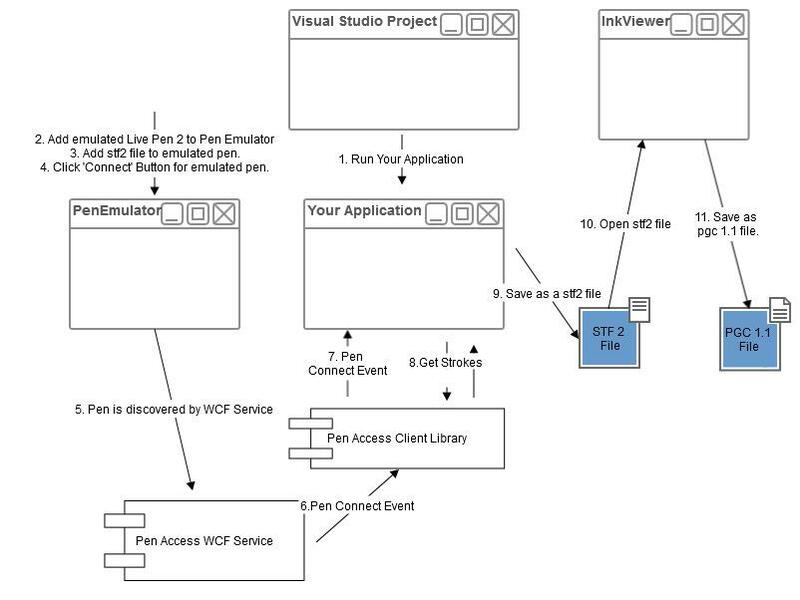 Picture: Using the emulator to develop an application to handle Live Pen 2 if you do not have access to a physical pen. Picture: Using the Anoto Live SDK and tools to develop an application to handle the Live Pen 1 (DP-201).